Save your fingers!!! Let the picks do the work of those fff orchestral glissandi. Developed by Patty Masri-Fletcher, the Principal Harpist of the Detroit Symphony Orchestra, these picks have had rave reviews! 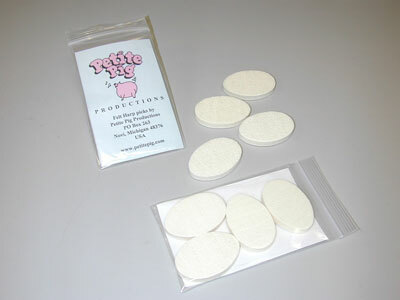 Each package contains 4 of our fabulous picks. Shipping and any tax (MI residents only), is automatically calculated for you through PayPal! 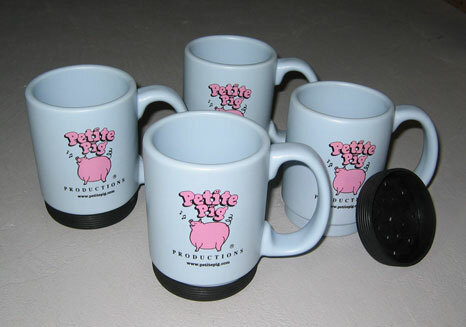 Petite Pig Productions accepts payment through PayPal. -Click the ADD TO CART button, which will direct you to your cart page. -Click on the SECURE CHECKOUT button, and follow the on-screen directions. -Continue the checkout process as each page comes up. LOOK! OUR NEW MUG IS HERE! Here's the mug you want!